It is not every day you are able to bowl to an international opponent. 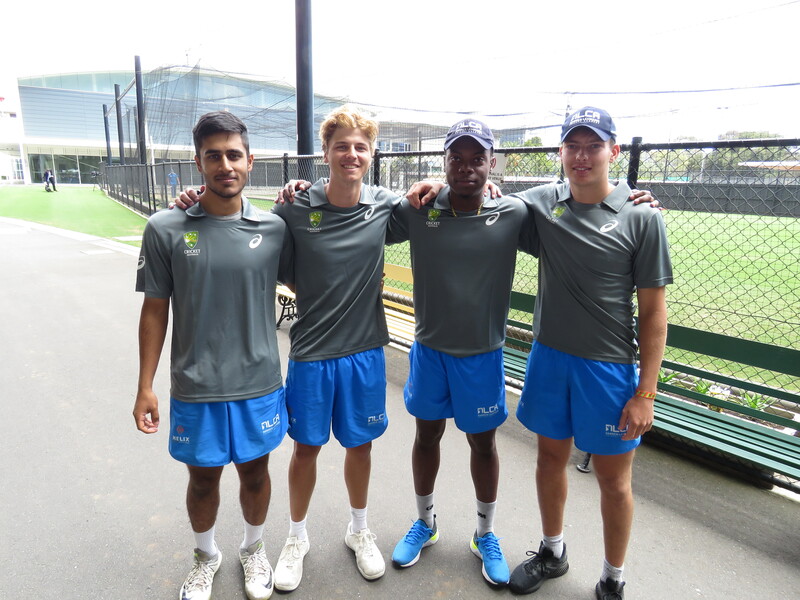 However, for four lucky DLCA players, they were rewarded for their hard work at the DLCA and their Australian clubs, and were provided such an opportunity. The afternoon prior to the second Australia vs South Africa One Day International, Mahaaz Ahmed, Joshua Bishop, Ned Dunning and Raff Hussey walked into the prestigious Adelaide Oval change rooms. Awaiting them, the entire South African team. Mahaaz Ahmed, an 18-year-old from Worcestershire and Malvern College, was rewarded for his strong performance at his Australian club Southern Districts. Mahaaz played one game for the B-grade premier side, however quickly advanced into the A-grade side. Here, he has seen solid results with both the bat and ball, scoring a game winning 61* with his best figures of 2/112 from 21 overs. Joshua Bishop, from Barbados and U19 West Indies player, has been extremely economical for his Adelaide based club Woodville. Starting off in the A-grade premier side, Josh has successfully battled against the strong spinning line up at Woodville, including state representative Tom Andrews, and has claimed best figures of 3/14. Ned Dunning, from Somerset and Millfield School, has featured for his Adelaide club Northern Districts, coached by Mark Cosgrove, claiming best figures of 3/22. Raff Hussey, based in Barton on Sea and Arnewood School, has been solid for Port Adelaide, claiming best figures of 3/19 from 16 overs. For many of the players, this was their first experience bowling to players of an international calibre. Whilst daunting at first (and a few loose balls hitting the turf), the boys soon were in the swing of it; landing multiple dot balls against the likes of Quinton De Kock, Faf du Plessis and David Miller. A highlight from the bowling session was when Ned Dunning had Proteas T20 powerhouse Farhaan Behardien tangled at the crease and spun the ball past his bat, hitting him right in the sweet spot. The result saw Behardien rolling on the floor in pain, with an amused Dunning unsure how to react at the top of the wicket. 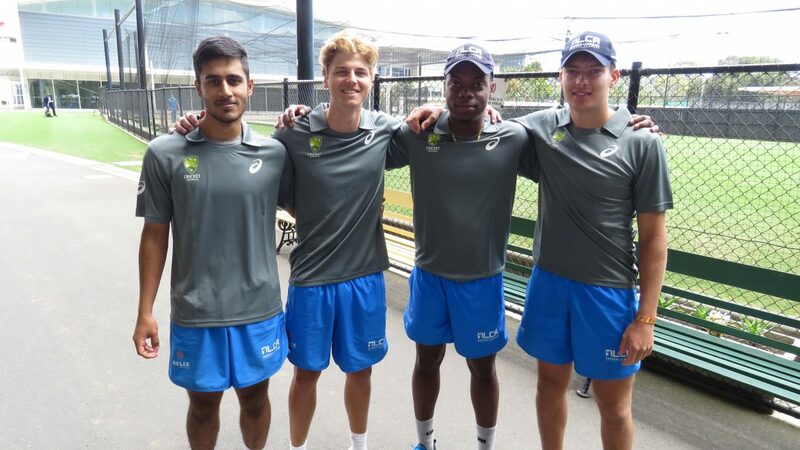 In further exciting news, the same four boys, with the additions of Mishal Khan and Joe Hagan-Burt, will have the opportunity to bowl to the Indian test team; featuring the likes of Virat Kohli, Ajinka Rahane and Ravi Ashwin. It is sure to be an exciting time for these DLCA bowlers and we look forward to the incredible opportunities ahead for them.